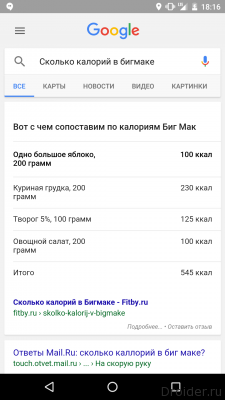 Google never stops to improve the main product by adding simple tools like calculator, currency Converter or weather. Recently, users had the opportunity to determine the nutritional value of foods, without leaving the search string. 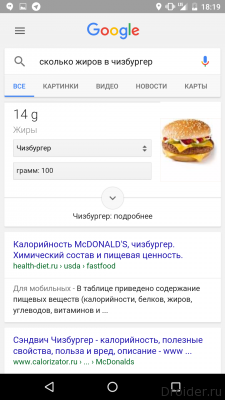 Enough with the keyboard or voice to ask "How many calories/fats/sugars/carbs in..." and Google will provide a visual information card. 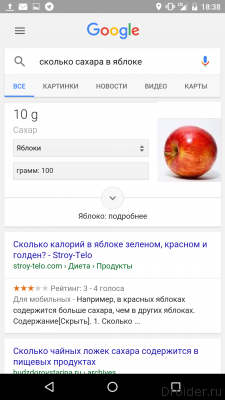 The search engine knows not only about products but also about some of the more complex dishes. This functionality is useful for people on diet or those who are simply watching them. 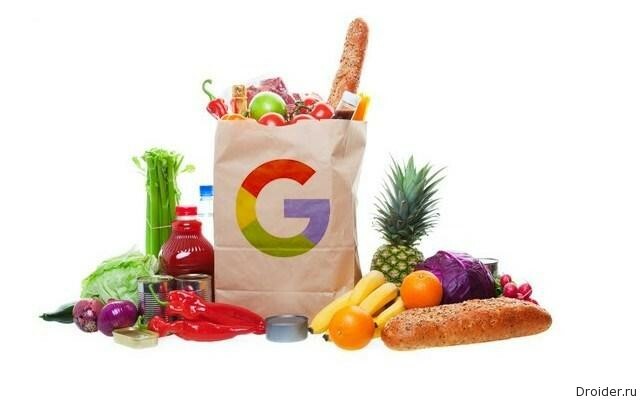 According to rumors, Google is working on an application Im2Calories, which will give similar information but for pictures of food or product.